Everyone is already looking forward for hearing the cannon on the 10th August at 19 pm in the gardens of Alderdi Eder ... It will officially start the Semana Grande Donostiarra, taking place in San Sebastian from 10 to 17th of August ... We cannot wait to hear, once again, the "Artillero" (Gunner song) to start celebrating this wonderful festival of colors, fun for all ages, shows ... Do not miss the fireworks…From the windows of our hotel in San Sebastian can have a privileged perspective. However, the most practiced "sport" these days (very typical habit throughout the year in Donostia) is enjoying food and drink. From a wonderful Gilda with a glass of Txakoli up more elaborate Pintxo alangostado monkfish, plenty of the "pintxos races" among friends will take place. Among the many activities and events taking place during these days, 3 main events are a must go: the International Contest-Festival Artificial Fire, pirate boarding and large heads performances. 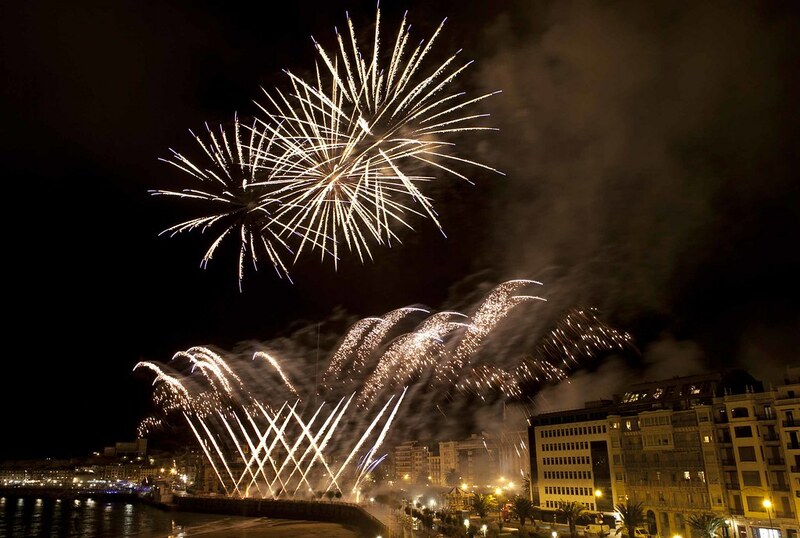 The International Fireworks Competition in San Sebastian takes place during the nights of the Great Week in San Sebastian and is a must for all fireworks lovers. During the last day do not miss the fireworks. The Pirate approach is another spectacular moment during the Semana Grande Donostiarra. As usual in the latest editions of the San Sebastián Semana Grande thousands of pirates and buccaneers shell beach reached from the port through all kinds of boats and oars used as hands, brooms and more ... anything goes . The Small Giants and Big Heads are a fun and unique show. They walk every day of the week Large donostiarra through the old part of the city for the sole purpose of encouraging the atmosphere, dancing and making people dance.